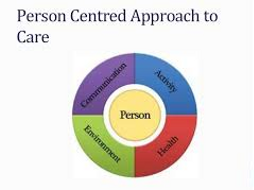 SNPG958 Implementing Person Centred Care in the Workplace - University of Wollongong. SNPG958 Implementing Person Centred Care in the Workplace University of Wollongong. • create a new learning resource you can use in your future practice. • will use the learning resource to develop the one (1) aspect of dementia care which was identified as a concern or issue by your colleagues. • inform the format of the learning resource to be used by you and your colleagues to improve the one (1) aspect of dementia care which was identified as a concern or issue. 3. 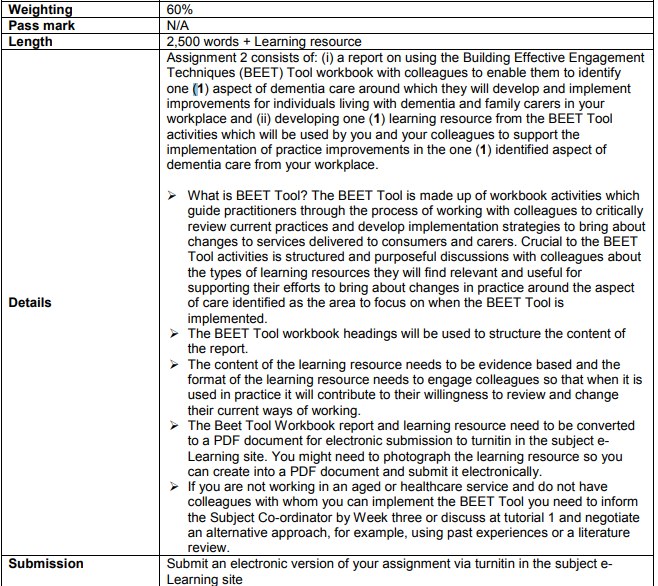 Use the outcomes of using the BEET Tool process to develop a learning resource for use by colleagues in the workplace where you have identified a concern, issue and engagement process to explore. 4. Submit a description of how the learning resource you develop will be used by colleagues in your workplace to improve the one (1) aspect of dementia care which was identified as a concern or issue (maximum of 250 words).